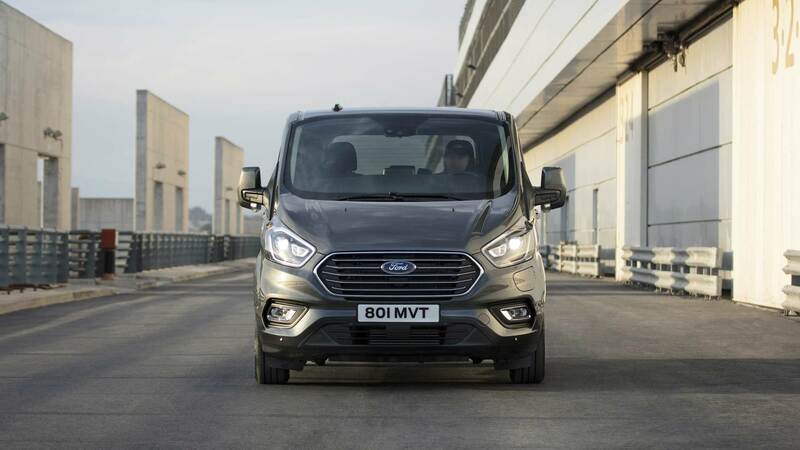 Ford has added a plug-in hybrid powertrain to the Tourneo Custom van, to be available for European customers from late 2019. 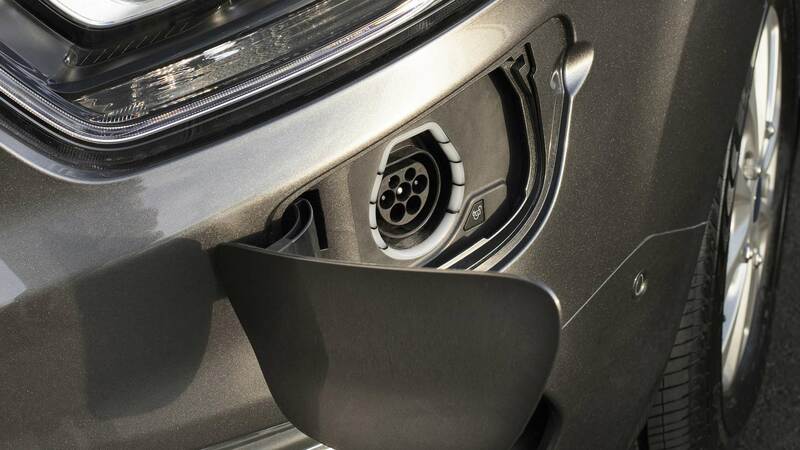 Claimed to be the first-in-class, the Tourneo Custom Plug-In Hybrid’s front wheels are driven exclusively by an electric motor/generator, powered by a 13.6 kWh lithium-ion battery pack. 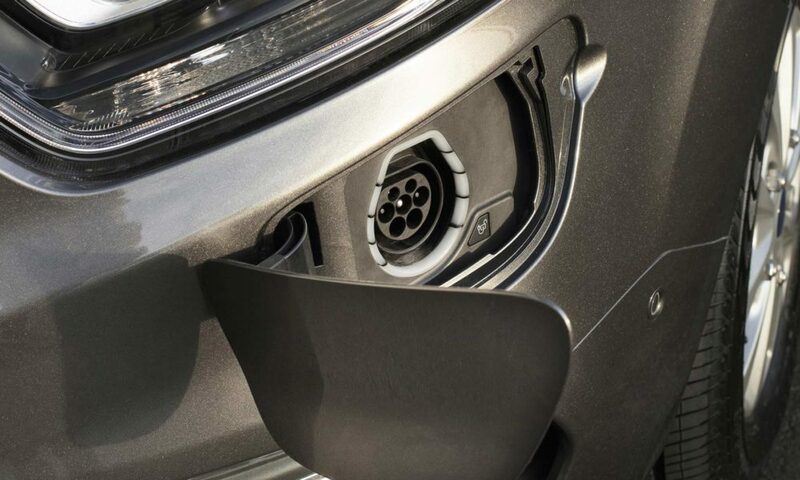 A 1.0‑litre EcoBoost petrol engine acts as a range extender, working alongside regenerative braking enabled by the motor/generator to recharge the battery. 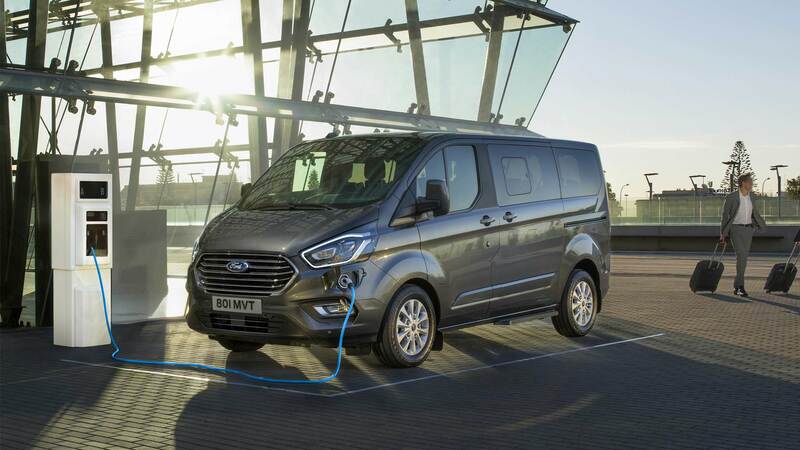 Ford claims a zero-emission driving range of up to 50 km (31 miles) or 500 km (310 miles) using the range extender. 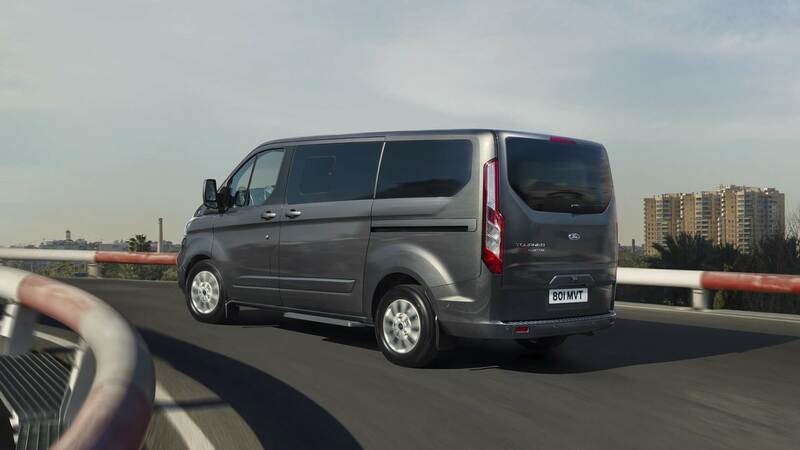 Like the diesel powered Tourneo Custom, the Plug-In Hybrid model retains the ability to arrange the two rear rows in a conference format, or in two rows of three seats facing forward, Ford said. 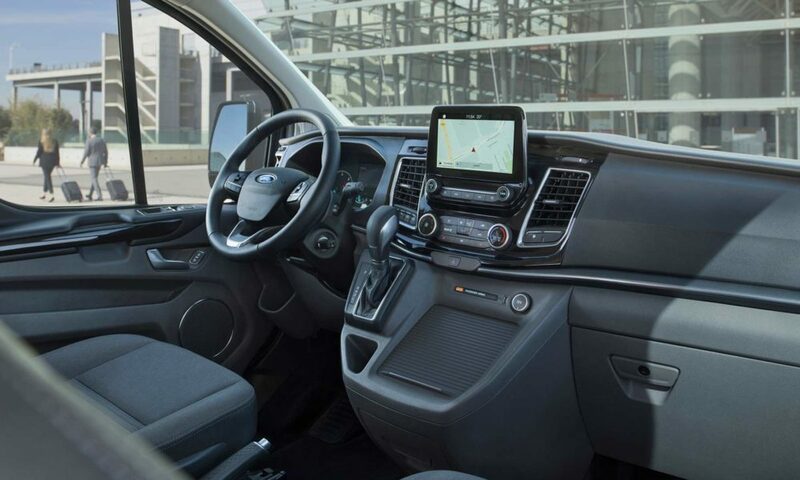 Available in the top-end Titanium trim, the new Tourneo Custom Plug-In Hybrid’s standard equipment includes Ford’s voice-activated SYNC 3 communications and entertainment system, featuring an 8-inch touchscreen that can be controlled with pinch and swipe gestures, and Apple CarPlay and Android Auto compatibility as well. 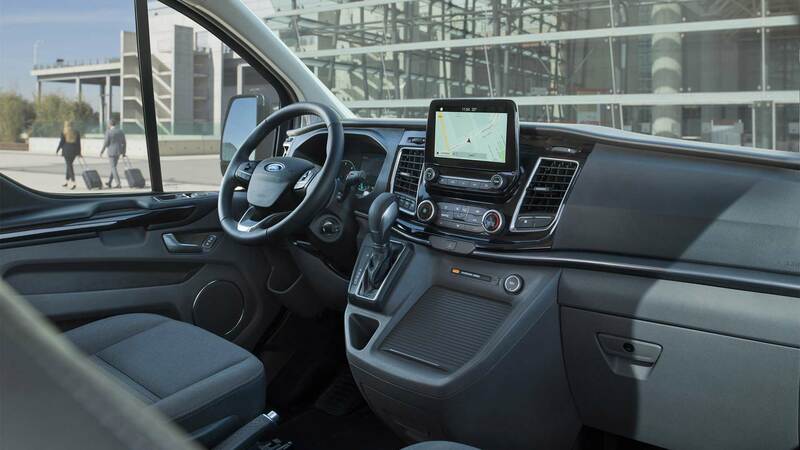 Other standard features include FordPass Connect on-board modem that offers Wi-Fi connectivity for up to 10 devices. 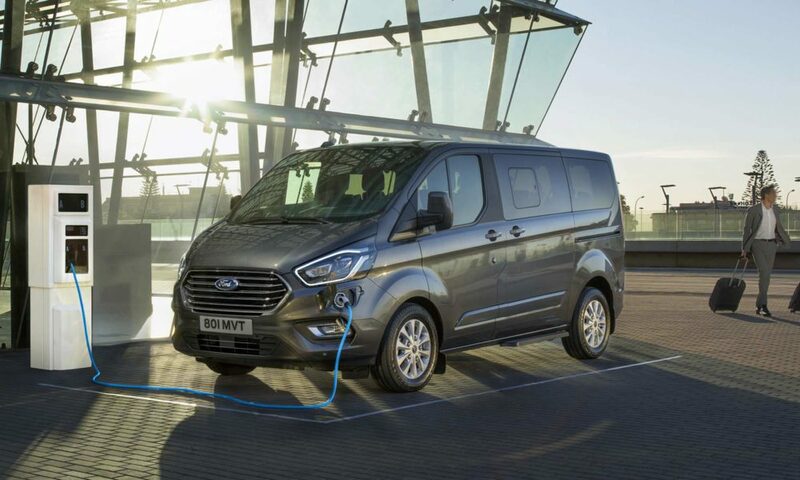 According to Ford, the Tourneo Custom Plug-In Hybrid can be charged using a domestic 240-volt 10-amp power supply to achieve full charge in 5.5 hours, or using a commercial 240-volt 16-amp or 32-amp supply for a full charge in 3 hours. 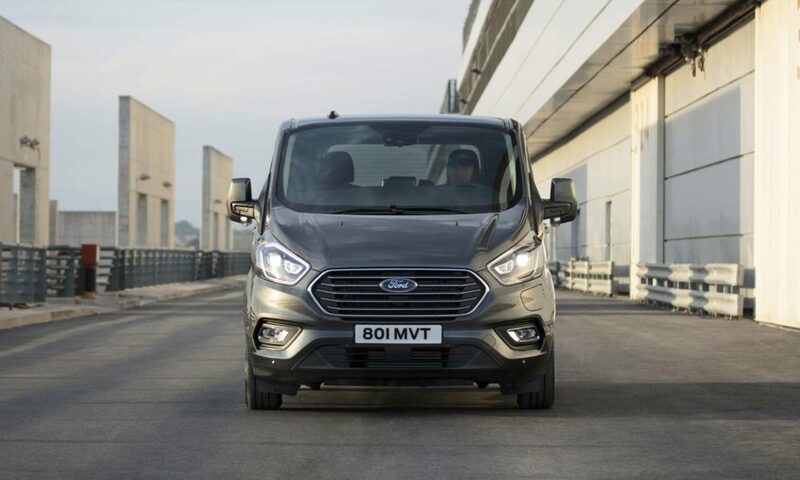 Ford sold 17,100 Tourneo Custom people movers in 2018 – a 28 percent increase compared with the previous year.